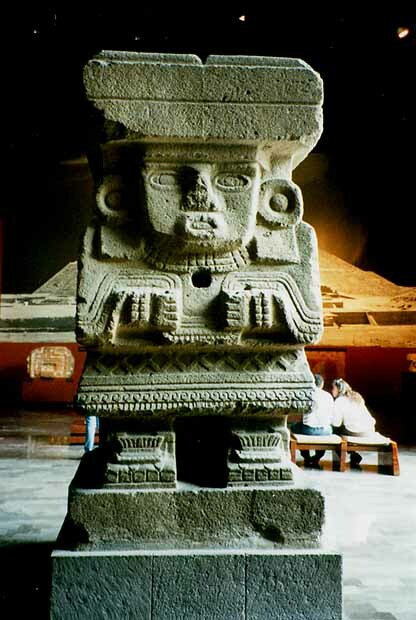 Click on the photo to the left to view the only finished free-standing large stone monument from the site of Teotihuacan. Click on the photo to the left to see various images of the Teotihuacan mural reconstructions on display at the National Museum. Also linked to this photo is an example of an actual section of mural brought to the museum from the site of Teotihuacan. 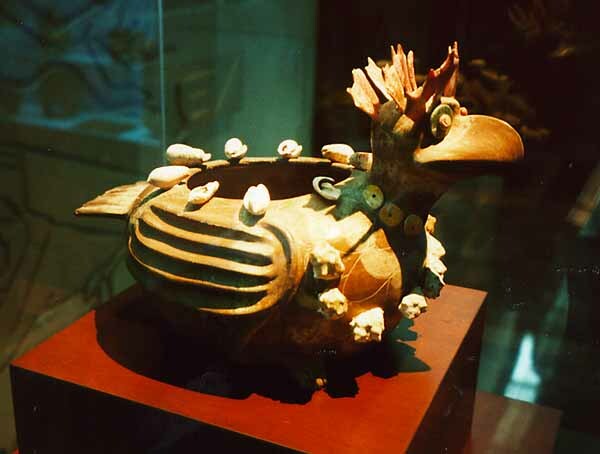 Click on the photo to the left to view five examples of Teotiuacan ceramics: a turkey vessel; a bat / dog vessel; a jaguar "mask"; and an elaborate incensario. Click on the photo to the left to view various examples of architectural decorations that once adorned the structures at Teo. Take a tour of the site! 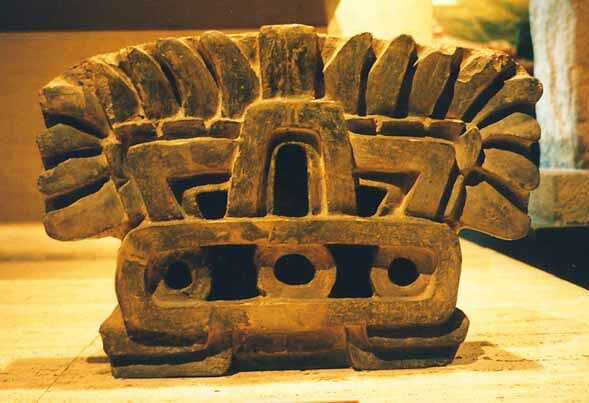 Click here to view the Mesoamerican Photo Archives gallery of Teotihuacan.